Coughing, sneezing, and facial pressure can all be signs of sinusitis. If you are suffering from any of these symptoms, Davam Urgent Care in Magnolia, is a convenient urgent care clinic to visit. Our clinic is open 8am-9pm, 7 days a week to provide care after hours and on the weekends. Davam Urgent Care can provide sinusitis treatment for those located in and around the Magnolia, TX area. Extended hours. Our clinic is open 8am-9pm, 7 days a week. This allows patients the flexibility to visit us whenever works best for their schedule. Accredited Center. Davam is the only clinic accredited by the Urgent Care Association of America in the Houston area, and only the second in Texas. Accreditation is the highest level of distinction for urgent care centers. Excellent patient care and customer service. With over 700 plus 5 star reviews and many awards including Best of the Woodlands 2015 and 2016, it is easy to see why patients choose us for their care. Additional services. Davam Urgent care is able to offer many additional services than the traditional quick care setting including digital x-ray, lab testing, EKG, drug screens, laceration repair, and more. When you need sinusitis treatment in Magnolia, TX there are many different options for clinics to visit. Davam Urgent Care is the best choice. We have experienced medical providers, a full in-house lab, and are the only accredited urgent care center in the Houston area by the Urgent Care Association of America. Our clinic can also treat both children and adults. The experience in our clinic begins with a short wait time and ends with an experienced medical doctor evaluating the patient for treatment. 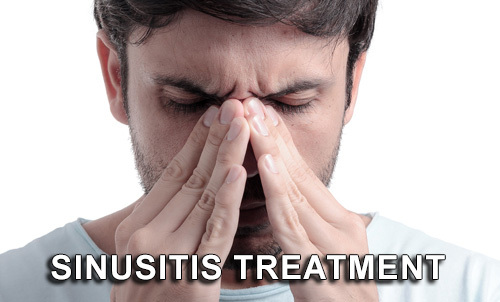 After seeing the patient, the provider will determine the best course of treatment for sinusitis. Antibiotics may be prescribed based off of the symptoms, amount of days sick, and if any over the counter medications have been used. If a patient’s symptoms are worsening, antibiotics will most likely be prescribed depending on what the Doctor sees is needed. Davam Urgent Care located in Magnolia, TX also offers treatment for other medical conditions in addition to sinus infections including flu, strep, back pain, uti, asthma, minor laceration repair, and many more. In addition, our clinic also has an x-ray machine to assist in treating broken bones and other injuries. We also offer online-check in to make the visit more convenient. For more information please contact our office at (281) 583-1980 or visit our office located at 6022 FM 1488 Magnolia, TX 77354.